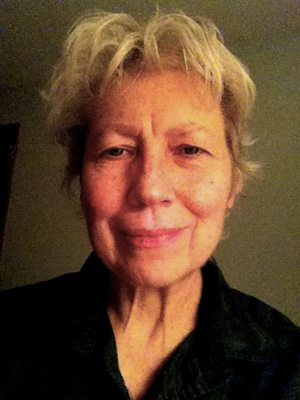 The American Haiku Archives advisory board is pleased to announce the appointment of Patricia Donegan as the 2017-2018 honorary curator of the American Haiku Archives at the California State Library in Sacramento (www.americanhaikuarchives.org). This honor recognizes Donegan's commitment to haiku as a poet, writer, anthologist, translator, and promoter of haiku as an awareness practice. She served on the faculty of East-West poetics at Naropa University under Allen Ginsberg and Chogyam Trungpa Rinpoche, was a student of haiku master Seishi Yamaguchi, and a Fulbright scholar to Japan. She is a meditation teacher, previous poetry editor for Kyoto Journal, and a longtime member of the Haiku Society of America. Her haiku works include Love Haiku: Japanese Poems of Yearning, Passion & Remembrance (cotranslated with Yoshie Ishibashi), Haiku Mind: 108 Poems to Cultivate Awareness and Open Your Heart, Haiku: Asian Arts for Creative Kids, and Chiyo-ni Woman Haiku Master (cotranslated with Yoshie Ishibashi). Her poetry collections include: Hot Haiku, Bone Poems, Without Warning, Heralding the Milk Light, and haiku selections in various anthologies. She won first prize in the 1998 Mainichi International Haiku Contest and won a Merit Book Award for translation from the Haiku Society of America for her book on Chiyo-ni, also in 1998. Her books on haiku have combined scholarship and insight in reaching young and old to inspire and sustain a lifelong interest in haiku poetry, in both Japanese and English. We are pleased to celebrate Patricia Donegan, and to bestow this honor from the American Haiku Archives, which seeks to preserve and promote haiku and related poetry throughout the North American continent. The AHA advisory board is delighted to pay tribute to Patricia Donegan as the twenty-first honorary curator of the American Haiku Archives. Hot Haiku. Boulder: Kokoro Press, 1980. Donegan, Patricia, and Jim Cohen, eds. Never Mind (haiku anthology). Boulder: Kokoro Press, 1980. Bone Poems: Mini Cantos. Boulder: Chinook Press, 1985. Without Warning. Berkeley: Parallax Press, 1990. Foreword by Allen Ginsberg. Heralding the Milk Light: A Post High-Tech Poetics Cosmology. San Francisco: Kokoro Press, 1993. Donegan, Patricia and Yoshie Ishibashi. Chiyo-ni Woman Haiku Master. Tokyo: Tuttle Publishing, 1998. Haiku: Asian Arts for Creative Kids. Boston: Tuttle Publishing, 2003. Haiku Mind: 108 Poems to Cultivate Awareness & Open Your Heart. Boston: Shambhala Publications, 2008. Donegan, Patricia with Yoshie Ishibashi, trs. Love Haiku: Japanese Poems of Yearning, Passion & Remembrance. Boston: Shambhala Publications, 2010. “Hot Haiku” (pages 157–160). City Lights Review #3. San Francisco: City Lights Books, 1989. Beneath a Single Moon: Buddhism in Contemporary American Poetry. Johnson, Kent & Craig Paulenich, eds. (pages 62–66). Boston: Shambhala Publications, 1991. The Haiku Moment: An Anthology of Contemporary North American Haiku. Ross, Bruce, ed. Tokyo: Charles E. Tuttle, 1993. The Unswept Path: Contemporary American Haiku. John Brandi and Dennis Maloney, eds. (pages 92–99). Buffalo, New York: White Pine Press, 2005. “Haiku and the Ecotastrophe” in Dharma Gaia: Harvest of Essays in Buddhism & Ecology. Berkeley: Parallax Press, 1990. “Translation through a Veil” in Young Leaves, An Old Way of Seeing New: Writings on Haiku in English. San Jose, California: Yuki Teiki Haiku Society, 2000. “Love Haiku” in Kyoto Journal #49, 2001. “Haiku: The Birth and Death of Each Moment” in Kyoto Journal #50, 2002. “Poetry for Peace: The United Nations of Renku" [interview of Tadashi Kond?] in Kyoto Journal #52, 2003. “Allen Ginsberg’s Naked Haiku” in Kyoto Journal #59, 2004. “Chiyo-ni’s Haiku Style.” Simply Haiku 2.3, (2004): n. pag. Web. 11 March 2016. “Ko Un: Human Nature Itself Is Poetic” [interview of Korean poet Ko Un] in Kyoto Journal #60, 2005. “Breath and Movement Deeply Felt” [interview of Korean dancer-choreographer Kim Sun Ho] in Kyoto Journal #60, 2005. “An Antidote to Speed” in The Unswept Path: Contemporary American Haiku (eds. John Brandi and Dennis Maloney). Buffalo, New York: White Pine Press, 2005. “Human Nature Itself Is Poetic” [interview of Korean poet Ko Un] reprint in Beyond Words: Asian Writers on Their Work, Honolulu, Hawaii: University of Hawai‘i Press, 2006. “Patricia Donegan on Chiyo-ni’s Way of Haiku” in The Shambhala Sun, January, 2007.